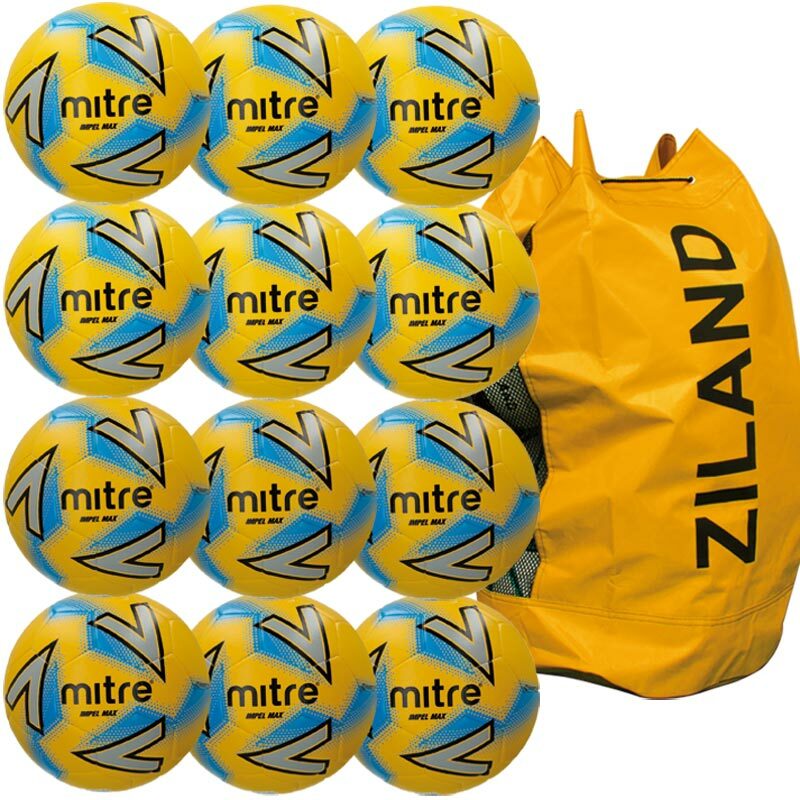 The Mitre ® Impel Max Training Football Yellow 12 Pack is Mitre's top-level training ball and uses the latest 'Vimini' textured surface with an added protective PU outer to improve performance and durability. 12 x Footballs size 3, 4 or size 5. 4.5mm EVA soft-touch foam backing enables players to comfortably control and play the ball - inspiring youngsters to and ensuring confidence on the ball.